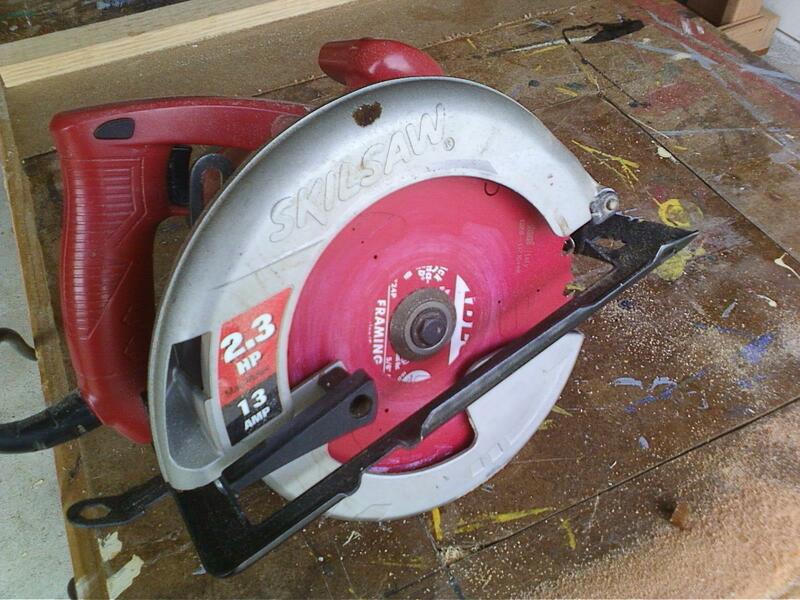 If you are in the market for a 7-1/4″ circular saw for light homeowner use, I don’t see any reason not to buy a SKIL 5480. It’s cheap, durable construction, dead simple set-up and with a decent saw guide, can create clean cuts all day long. The hard plastic casing has held up to three years of abuse, the metal foot plate hasn’t rusted and kept its smooth action. It has a metal blade guard. It’s big enough to get the job done. Buy it. Skip the laser. The 5480. Simple, clean, simple.